If there is one piece of furniture that has so many uses and works in many places in a home, it is a beautiful bench. 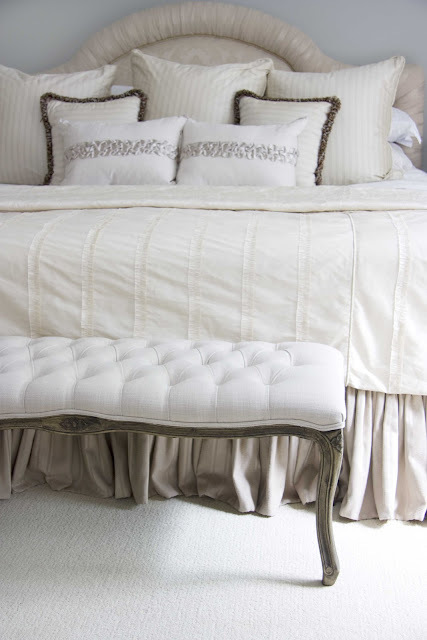 I recently purchased this lovely linen covered tufted bench and immediately placed it in my dressing room. It will be the perfect place to sit and put on shoes or lay out an outfit for work. While I love it here, I can also see it at the end of my bed. 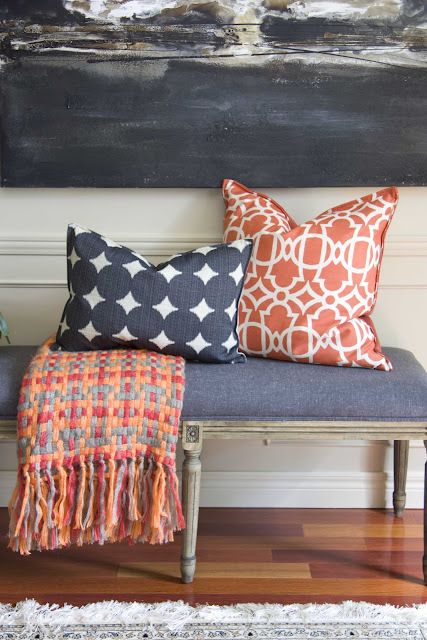 This would help hold all of the decorative pillows when not in use. That way, my husband won't have to toss them on the floor! Another spot I might move it to is the entry hall. 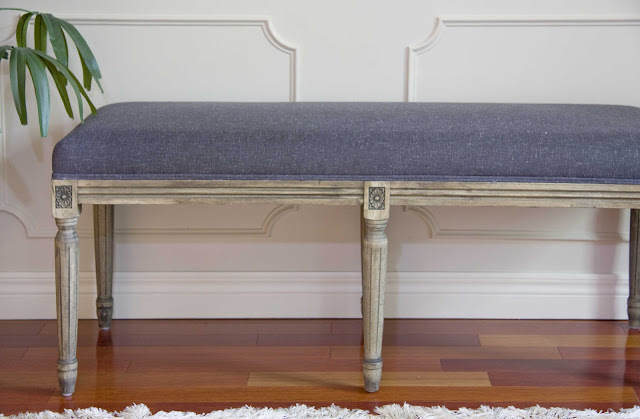 Beside the door, this bench would double as a catch all for keys, sunglasses and mail as well as hold my purse. Shoes could be neatly lined up underneath. This grey bench is also very striking. It's straight legs and casual grey fabric give it a more modern feel. And it looks awesome paired with an orange and grey throw and pillows. So if you are looking for a flexible, stylish and functional piece of furniture, give a bench a try. You will never tire of it.